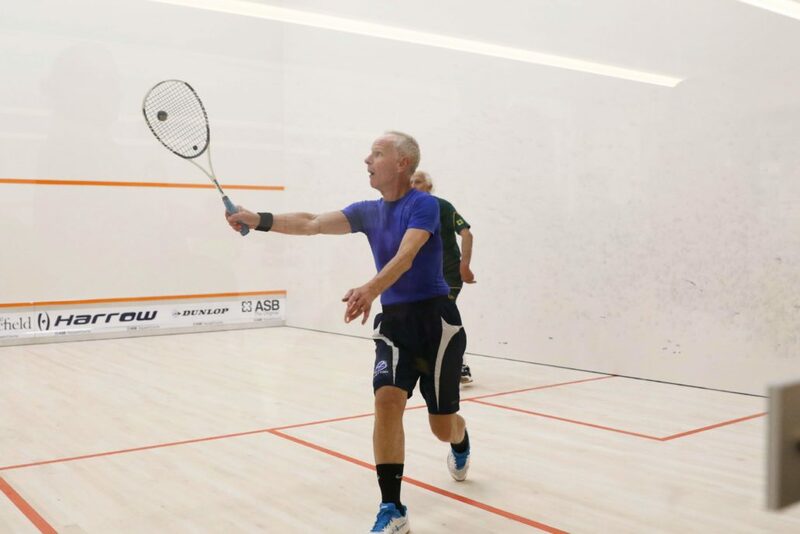 Grange squash veteran Ian Ross says claiming silver at the 2018 WSF World Masters Championships is the highlight of his long career. 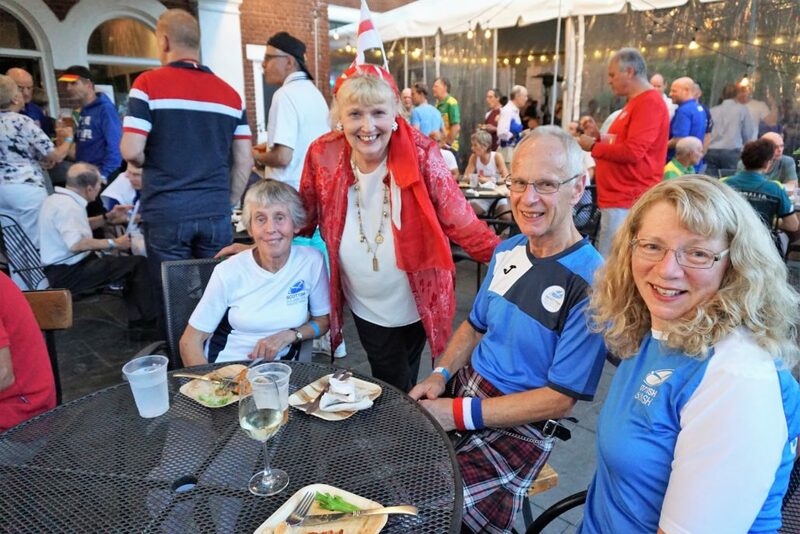 The Scot produced some of his best squash last week at the impressive McArthur Squash Centre in Charlottesville, USA, which ensured he negotiated his way through four rounds to reach the Men’s O70s World final. Ross, 70, opened his campaign with a 3-0 win over Australian Stephen Creak before claiming a 3-1 win over Scottish expatriate Douglas Moffat, now residing in South Africa. He took on England’s number three Jack Halford in the quarter-final, again coming through in four, and did likewise against highly rated Frikkie Bester in the semis, winning 11-9, 11-9, 6-11, 11-6. Top seed and multiple World Masters champion Brian Cook from Australia lay in wake in a final which went the distance, the Aussie winning 11-1,7-11,7-11,11-6,12-10. 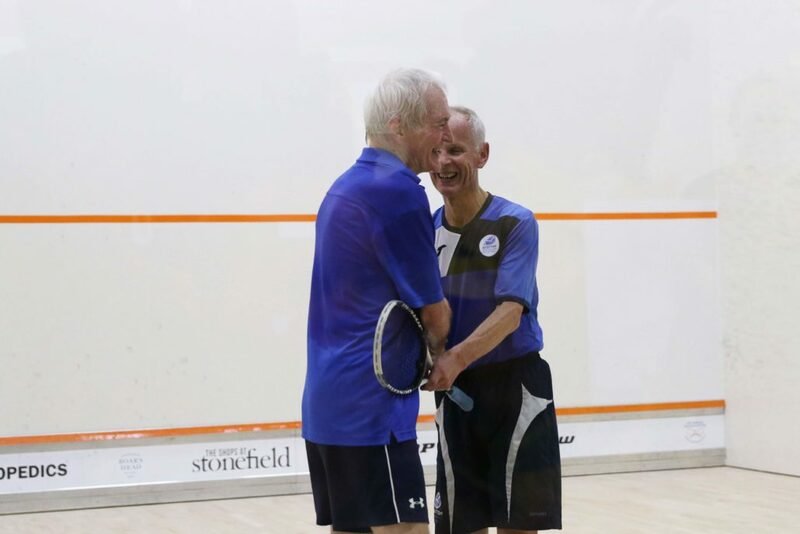 European O70s champion Ross said: “I was really happy with my performance, it was a great experience taking part in a World Championships and winning silver I think is my best squash achievement. “The tournament put on by Richard Millman and US Squash at a first class venue was exceptional. “The courts had live streamings and my family and friends were watching at home. He continued: “In the semi-final I played Frikkie who had lost a really tight O65s world final four years ago against Brian Cook so I knew he was a good player. “To get through that was very pleasing and the final was obviously really tight. “The first game was disappointing but I knuckled down and won the next two. “But Brian’s a canny player and it was all to play for in the fifth. I got it back to 10-10 but he played a couple of good points to win the match. “It was slightly disappointing to come so close and not win but overall I was really pleased. 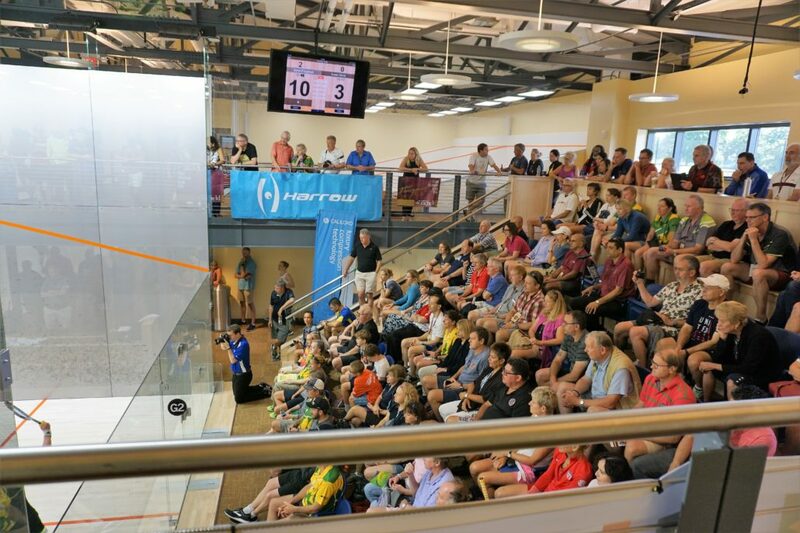 With 12 glassbacks, a three-sided glass court and a full glass showcourt, McArthur Squash Centre proved a brilliant venue for the players competing at the 2018 World Masters Championships. 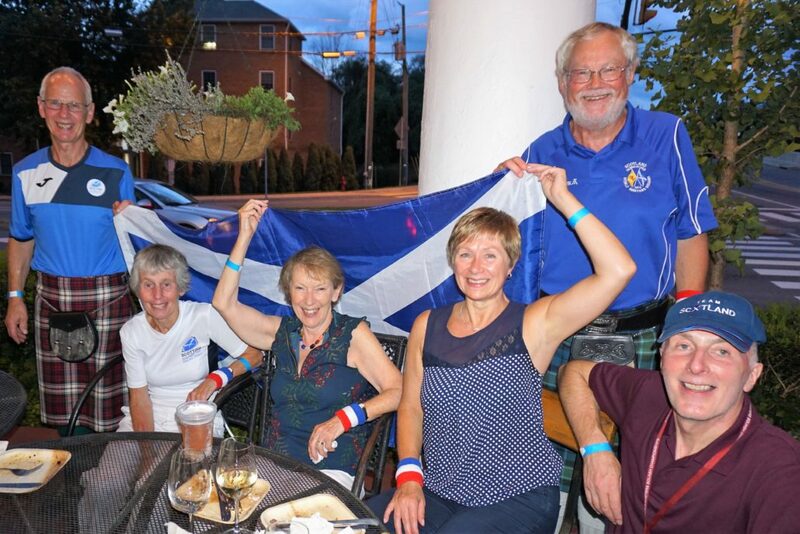 The competing Scots included Peter Buchan – Men’s over 45, Scott Hay – Men’s over 45, Mark James – Men’s over 50, Paul Harris – Men’s over 60, Jim Dougal – Men’s over 65, Douglas Moffat – Men’s over 70, Wendy Jones Maitland – Women’s over 40, Fiona McLean – Women’s over 55, Maureen Carroll – Women’s over 65 and Faith Sinclair, Women’s over 65. Second seed Fiona McLean produced a very strong performance to reach the semi-finals of the Women’s O55s event and secured her bronze medal courtesy of a hard fought 9-11, 7-11, 11-7, 11-6, 11-7 win over Aussie Sue Williams in their 3/4 play-off. 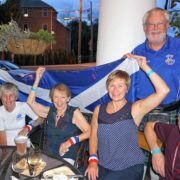 Her success comes hot on the heels of a successful defence of her British O55s title in June having won the European title last year. We’ll be catching up with Fiona on her return from the USA later this month.